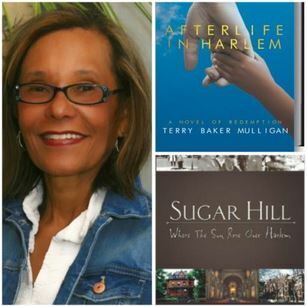 National best-selling author, Terry Baker Mulligan will visit Lincoln University – March 12-13th to discuss her latest book: Afterlife in Harlem. The author is the first writer to be invited to speak, in celebration of the Josephine Silone Yates Literary Author Series at Inman E. Page Library. Harlem, New York since the 1920’s has been a cultural mecca for literature, art, and music. Terry Mulligan is no stranger to this literary world. The author’s first book in 2012, a memoir entitled, Sugar Hill: Where the Sun Rose Over Harlem, chronicling her life in the inner city during the fifties and sixties received the 2013 IPPY Award in honor of her work. Now, Mulligan has released one of her most treasured stories to date Afterlife in Harlem. The book centers on the life of two famous political powerhouses, Bill Clinton and Alexander Hamilton. Both of their stories are at best unique and interesting. Each was born to single mothers, and achieved political acclaim at an early age and made their life’s work about the people. Though their careers were diminished in many ways by their promiscuous lifestyles outside of the political arena, they rose to become two of the greatest political figures in American history. In Afterlife in Harlem, Terry Mulligan is not ashamed to say that she was interested in telling a different story as it pertains to these two men; they both worked for years to improve race-relations in America. History has a way of bringing the past and future together. Many might not understand the point of telling a story about two white men and their connection to Harlem through fiction. Yet, there is an irony to this type of writing and storytelling. It shows that there is and has always been a group of individuals that stepped outside of their own privilege to see the world for what it is and how it can become for the betterment of mankind. Visit Terry Mulligan’s website and purchase her latest book.